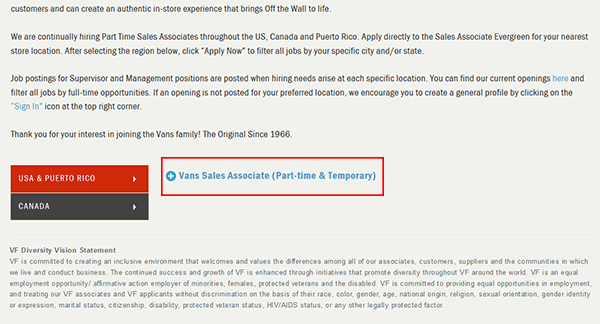 The Vans job application must be completed online (on the Vans Career Site). 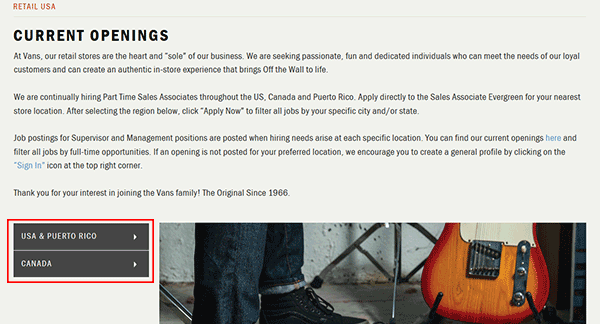 Retail (in-store), distribution, and corporate positions can all be applied for online. There are more than 1,000 retail locations throughout North America. 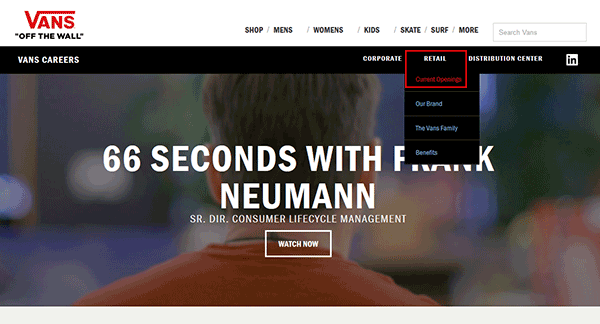 About the Company: Vans is a shoe/apparel manufacturer based out of California. The company’s main area of operations is North America, however there are numerous locations across the world. Step 1 – The first step is to go to the main jobs site (click here – link opens in a new tab/window). Step 2 – Click which type of position you want to search for (e.g. retail, distribution, corporate). Step 3 – Select which region you want to search (USA/Puerto Rico or Canada). Step 4 – Click which job you’re interested in applying for. 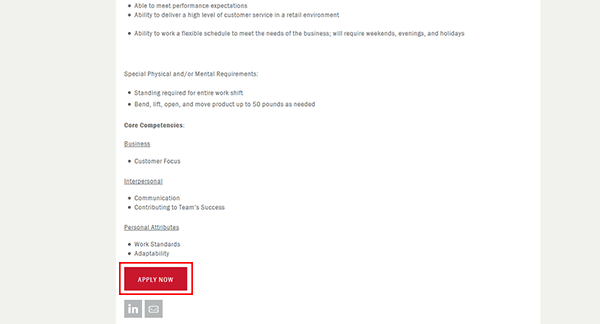 Step 5 – Scroll down the page and press the “Apply Now” button. 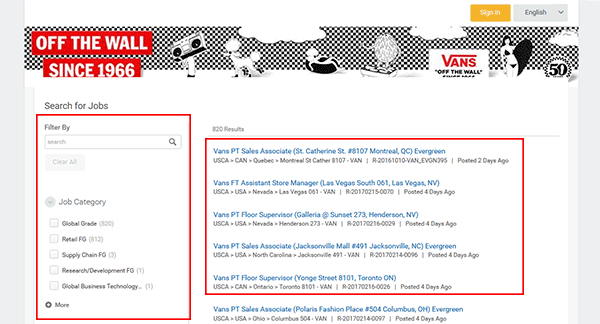 Step 6 – The search results can be filtered by category, country, location/state, job type, or hours (full/part-time). Step 7 – Press the job you’re interested in applying for to learn more about the position. Step 8 – Click the “Apply” button to move on to the next section. 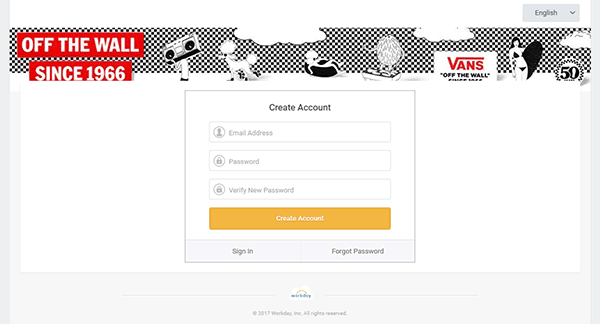 Step 9 – Log in to your account (or click the “Create Account” button). 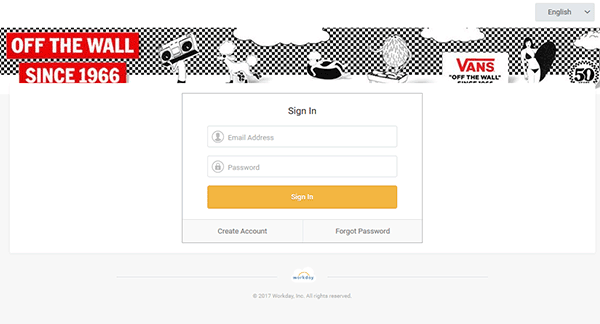 Step 10 – Fill in your email address and then create a password. Step 11 – Quick Apply – Upload your resume (optional). 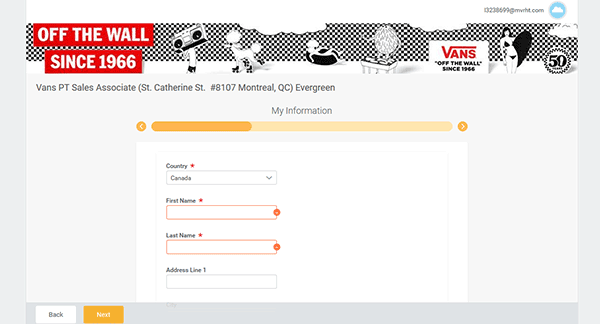 Step 13 – Click the “Next” button at the bottom of the page to go to the next section of the form. Step 15 – After all of the required information has been entered into the form you will be able to review/submit the application.